Alan Jones has provided some pictures to illustrate his trivia post. 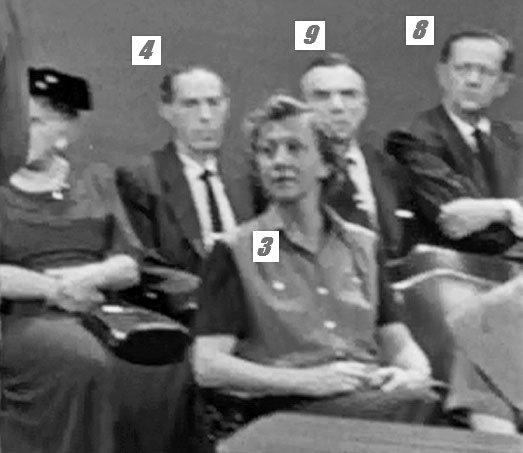 Take particular notice of the picture of the jury. How nicely they pose! Not exactly. 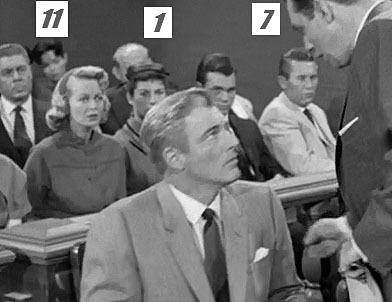 This is the result of excellent photo work by Alan and is a composite made from a scene where Perry walks back and forth in front of the jury box. Curiously, Perry always stops just short of the last two jurors on the right. Neatly numbered for identification. 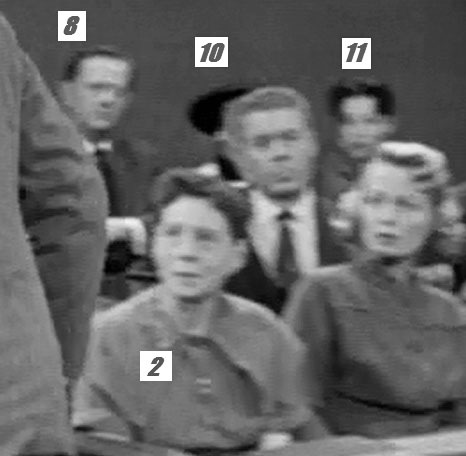 Jurors 6 and 12 were not seen in the jury shot, and Juror 5 was not seen in the gallery. Juror 9 is, of course, the popular Distinguished Gentleman #1.